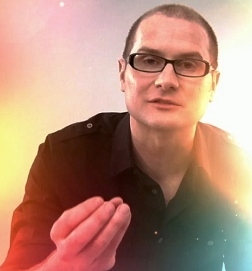 Yes, I agree that Rob Bell has charisma and communication skills. I read his books and saw the lack. I also heard the anguish of some of his church members who examined their Bibles Berean-like and were disturbed at his selective teaching, and listened to the reasoning of book store managers whose conscience could not allow themselves to be contributors of sharing disarming but eternally misleading pablum. Oh there’s plenty more misleading going on out there in the name of religion, sad to say. I’ve read some of it, I’ve heard some of it, and I continue to increasingly depend on God to give me the childlike wonder to grasp his simply profound truths. At the same time, there must be a daily call upon God’s wisdom for discernment to separate God’s Word and presence from the heresies that surround us. Charisma and communication skills have developed some of the largest churches and followings of our times. It goes without saying that those skills alone do not indicate total truth or that their only goal is to sooth itching ears to hear what they want to hear. What I can take from this video is to enjoy a childlike wonder of God, His creation, His personal sacrifice and constant communication for and with me. When I do that, I depend less and less in the teachings of man – especially if any portion does not mirror the Word of God, and childlike, lean more upon the personal whispers of God and teachings of the Holy Spirit. Wonder indeed. Thanks for stopping by Delores. You raise some excellent points on who we should be listening to. Love this, David. Never read his books but remember seeing a few of his other videos some time back. Especially liked the contrast between childishness and being child-like. Oh to be filled with child-like wonder always! Thanks for posting. Thanks for your comment Cindy. Child like wonder is so important..